ZhangjiajieÃ‚Â is located in the northwest part of Hunan province, this famous city is the location of China's first forest park - the Zhangjiajie National Forest Park - and a World Natural Heritage site Wulingyuan Scenic Area. There are many famous scenic spots here, such as Baofeng Lake, the Huanglong Cave (largest cave in Asia), and many beautiful waterfalls and brooks. The Ntaonal Forest Park Zhangjiajie covers an area of 130 sqkm.or 50,19 sqmi. Ã‚Â Here are not only dense forests to see, but grotesque peaks, resembling in form and shape camels or eagles. A field research, conducted in the beginning of the 1980th lead ÃƒÂ¶to the conclusion that this National Forest Park represents a downright gene store for plants and a refuge of all kinds of animal. Here grow many rare species of trees like the Chinese Tea Tree (Daviddia involucrate) and the Meta-Sequoia,. The dense jungle is protective home of many rare species of birds and animals like the Golden Pheasant, the Pangolin (manis pentadactyla), rhesus monkey and Hellbender. An ideal path through this Forest Park cut the Jinbianxi River. Along the riverbanks, on either side, grows dense forest, bizarre rocks and beautiful wildflowers. In the clear waters of the river fishes can be seen easily. The National Forest Zhangjiajie is a wonderful summer resort and an excellent spa. 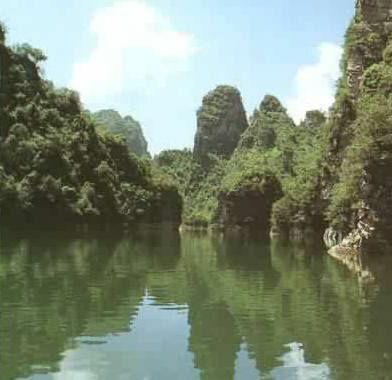 The Nature Reserve ofÃ‚Â Suoxiyu Ã‚Â excels with many mountain lakes like the Baofeng Lake and karst caves. The best known of those caves is the Ã¯Â¿Â½Ã¯Â¿Â½Yellow Dragon CaveÃ¯Â¿Â½Ã¯Â¿Â½. The landscape around the Baofeng Lake is fascinating. The lake is surrounded by rough rocks and steep cliff formations. The water of the lake is like an emerald coloured mirror. By taking a boat ride it is almost like floating through a ferry-tale land. The Yellow Dragon Cave has a length of 7,5 km or 4,66 miles. Within this cave run two subterranean rivers, three waterfalls and thirteen cave halls, the largest can host up to 10.000 visitors. Today this cave is very well lighted, though on can appreciate the endless varieties of karst formations. 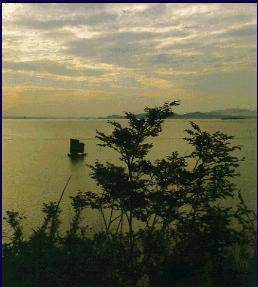 Other points of interest in Suoxiyu are also the Ã¢â‚¬Å¾Ten Li GalleryÃ¯Â¿Â½Ã¯Â¿Â½ (2 Li = 1 km or 0.6 miles), the Xihai Lake and the Baizhang Gorge. In Zhangjiajie prevails a subtropical monsoon climate with four clearly distinguished seasons. The summer is short, the winter long, but both seasons are mild tempered, there is neither simmering heat in summer nor bitter cold in winter. The fall (September Ã¯Â¿Â½C November) is the best time to visit. The average temperature in fall is around 12 Ã¯Â¿Â½C 15 degrees C. Visitors coming here in December until February can marvel at the wonderful snow covered landscapes. The average temperature at this time of year is 3 Ã¯Â¿Â½C 4 degrees C.
The traffic situation from and to Zhangjiajie is very favourable. One can reach the region byÃ‚Â aircraft from all large domestic cities. Another option would be to fly at first to Changsha, the capital of the Province of Hunan, and then continue by bus to Zhangjiajie. Today Zhangjiajie offers a variety of different modern hotel accommodations. 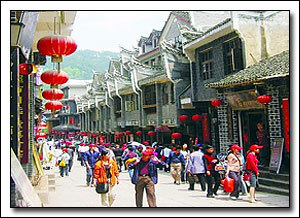 The city Fenghuang is located in the west of the central Chinese Province of Hunan. Ã‚Â Translated is the meaning of Fenghuang:Ã‚Â Phoenix. About 60 years ago came this quite town to fame. The reason was the novel Ã¯Â¿Â½Ã¯Â¿Â½Border TownÃ¯Â¿Â½Ã¯Â¿Â½, written by the famous writer Shen Congwen. Shen was born and grew up in this isolated town. The town has a broad and high city wall with an over 400 years old history. The name was given to the city since on the south-western side a mountain range resembles a flying phoenix. The majority of the citizens are people from the Tujia- or Miao minorities. The city wall, the bell tower, the century old landing stage and the convents are very well preserved. Worthwhile a visit are the pole houses along both riverbanks. 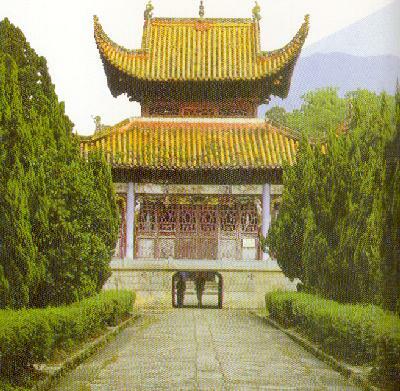 The pole house represents a typical construction style of the Tujia and Miao nationalities. In the course of a boat ride on the river one can catch perfect impressions and views. About 8 km southerly of the city of Phoenixextends a 190 km long defence wall. In china this wall is known as the Ã¯Â¿Â½Ã¯Â¿Â½Southern China Great WallÃ¯Â¿Â½Ã¯Â¿Â½. The wall here runs from south to north with an overall length of 190 km. The wall has been constructed with solid, big stones. The wall maintains an average height of 3 meters, at some places even higher. The construction of the wall is not different from the Great Wall in Northern China. There are barracks, watchtowers, and pass routes.